Mian Neurology (Somerville) - Book Appointment Online! 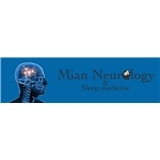 Mian Neurology is a private practice neurology group consisting of neurologists who offer advanced diagnostic and treatment services for all neurological conditions. Our physicians are board certified in Neurology and Sleep medicine. We have been providing care in the Central New Jersey area for close to 40 years. We have hospital affiliations with Somerset Medical center (Somerville, NJ) and Robert Wood Johnson Medical center (New Brunswick, NJ). Our physicians are available for consultations, second opinions, and long-term care for patients with chronic neurological conditions.